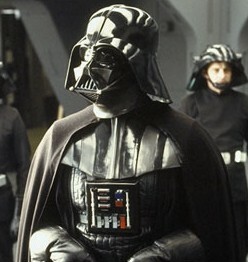 When you watch Star Wars (any of the original three) and hear “The Imperial March,” you know Darth Vader is on screen, or about to be. The song invokes a bit of fear, doesn’t it? But what does Darth Vader have to do with tardiness. He’s our alarm. Well, his song is. I know what you’re thinking…Diana didn’t know an alarm can keep one from being late? What I’ve discovered is how to use an alarm as a time management device in the morning to help Armadillo get ready for school. She’s a little slow moving. Armadillo hates being late, but she moves at her own speed. Her movements rarely show any kind of urgency. Ever. One day, I decided to let her get ready for school at her own pace. The result was a tardy slip from the front office. And tears. Lots of tears. None were mine. It was a valuable lesson. She announced that she never wanted another one of those pink sticky note thingies (kindergarteners and their vocabularies). Did that encourage her to increase her speed on mornings she woke up late? Sort of, but not really. It was time to put Phase 2 into action. At work, my calendar gives me a 15-minute warning before a meeting, so why not use the same idea. Armadillo could use that, too. On my phone, I set a daily alarm to give her a 12-minute warning. Why 12? Because 15 was too long. Also, we needed Darth Vader. I told her the plan. She had 3 or 4 snoozes before she needed to be in the car, or else she risked getting a tardy slip. The next morning when that first alarm went off, she moved like lightning to get ready for school. 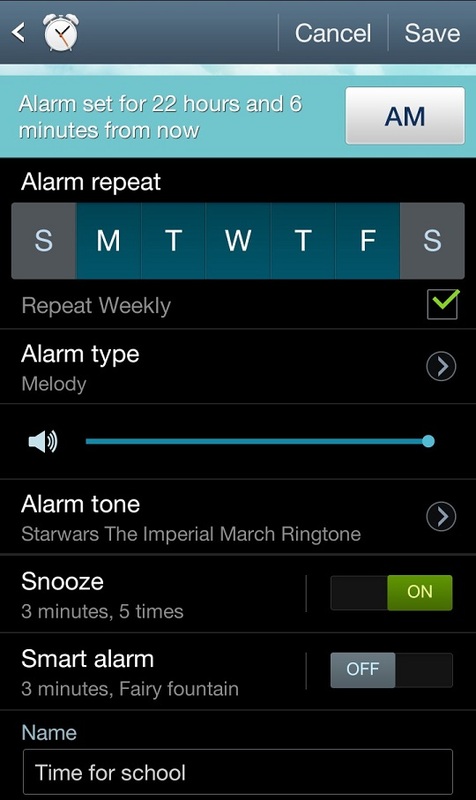 Over a year later, we still use this alarm every school day. She keeps track of the number of alarms. She knows that if she hears Darth Vader’s song 4 or 5 times, then she’s cutting it close. Don’t tell her this, but I have a 5-minute window so she isn’t late, even if the alarm makes it to #6 with no more snooze options. Is that using the Dark Side of the Force for good? If one of us hits the big red X that turns off the alarm, well, let’s just say Jabba the Hut’s lair looks more appealing than the school office when they have to give out those end-of-the-world pink sticky note thingies. May the Force be with you! And prevent tardiness! What time management techniques do you use to make sure you or your family are on time to places?